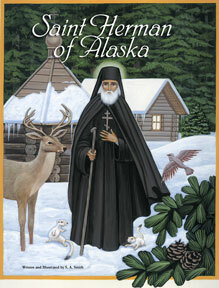 With simple, poetic text and beautiful paintings, Saint Herman of Alaska draws us in to the holy life of a beloved North American saint. With simple, poetic text and beautiful paintings, Saint Herman of Alaska draws us in to the holy life of a beloved North American saint. Perfect for very young children and a treasure for all ages.